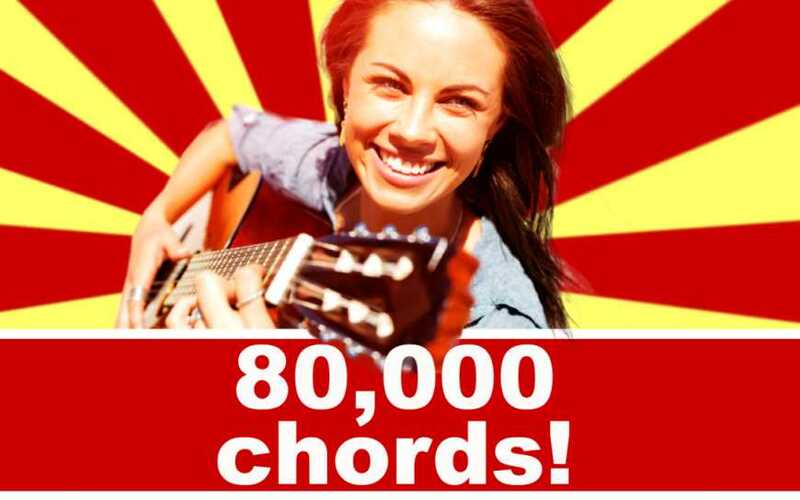 Thousands of chords on piano, guitar, ukulele and more! Are you learning to play a musical instrument? Do you need help finding the right chords on your instrument? Would you like to try out different instruments? 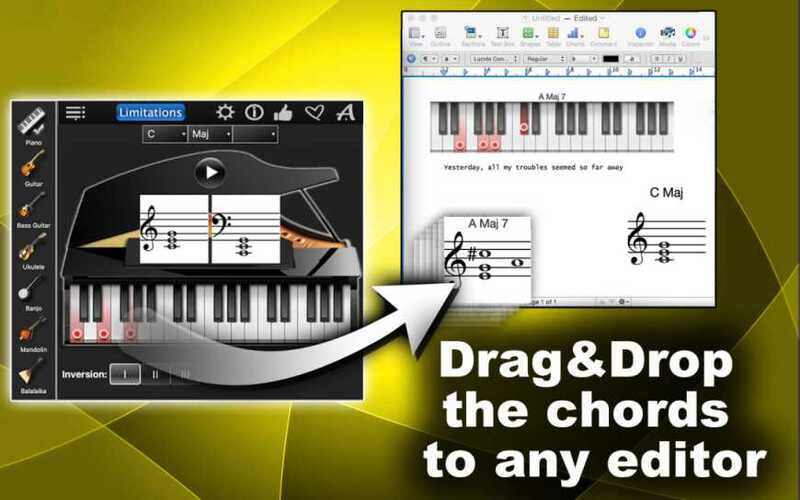 Chords Compass Lite can help you with all of it! Thousands of chords on 7 instruments with authentic sound for each instrument! Choose from piano, guitar, bass guitar, banjo, mandolin and balalaika. Select your instrument by tapping on the picture in the app window. For string instruments, you can also select the type of tuning and right-handed or left-handed chords. The next step is selecting a chord. Choose between C and D for your key, and then select the type of chord. 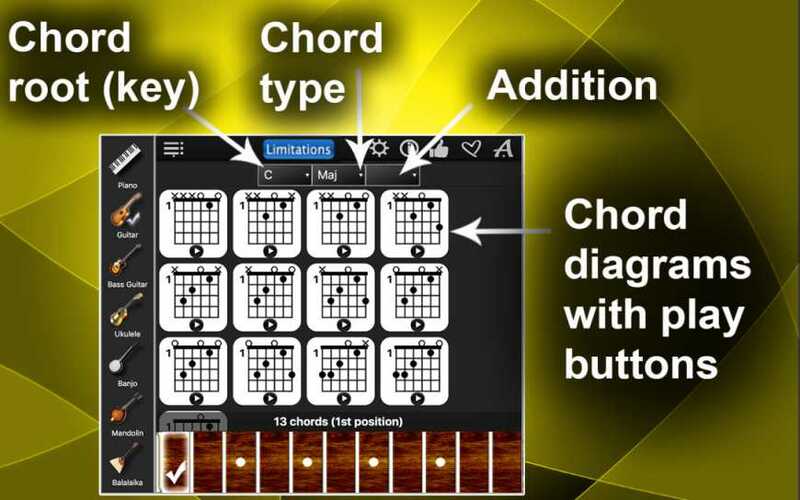 For more chords, upgrade to the full version of this app, Chords Compass. Chords Compass Lite will show you the chord you selected as music notes (for piano) or as chord diagrams (for string instruments) and the location of this chord on your instrument’s fret board or keyboard. Tap the Play button to play your chord. If you play a string instrument, you can also choose the position of your chord on the fret board. Chords Compass Lite will show you how many chords of this type are available in your selected position, and list their chord diagrams. If you play piano, take advantage of the inversion buttons to invert your chord. Try our different instruments! 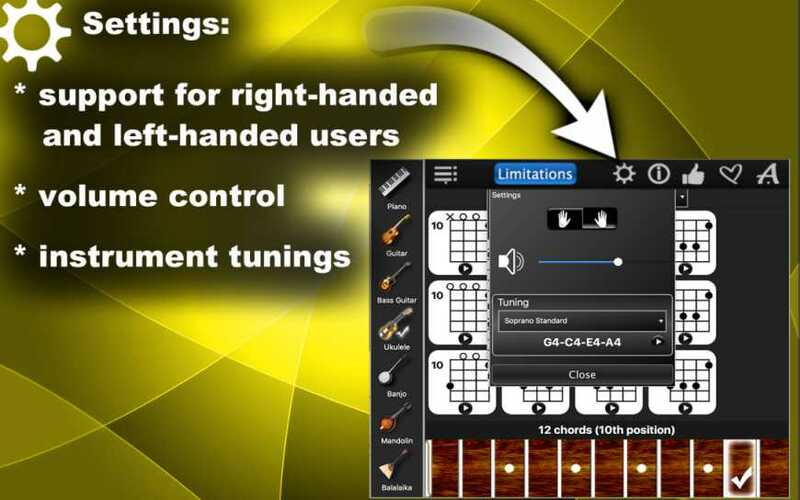 Since all the instrument in Chords Compass Lite are interconnected, you can play the same chord you selected, say, for a guitar, on a banjo or piano. Tap the picture of a new instrument, and start exploring! 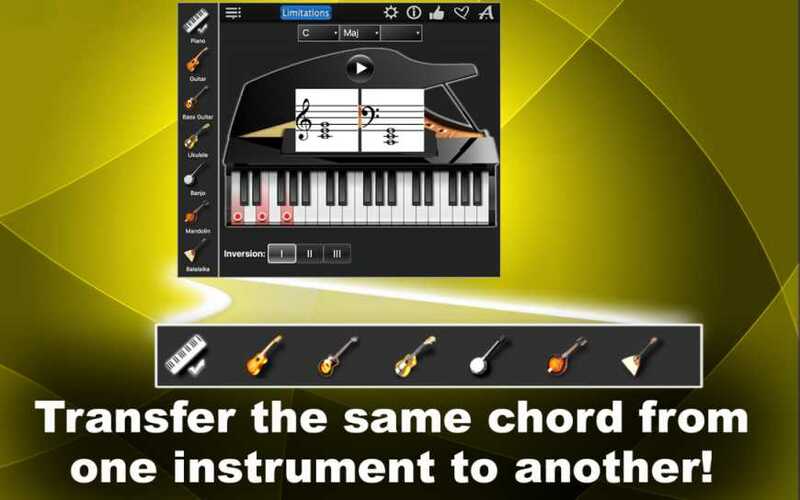 Discover thousands of chords with Chords Compass Lite! Download now!